"Your friends, up there on the sancutary moon, are walking into a trap." 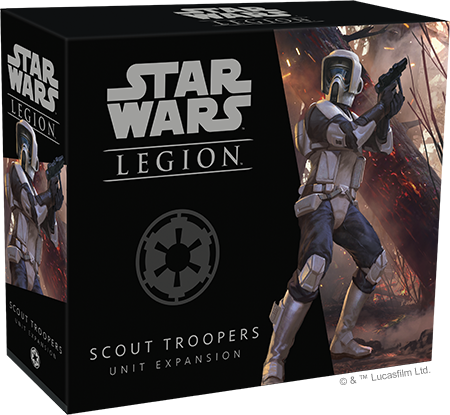 Order your own copy of the Scout Troopers Unit Expansion at your local retailer or online through our website today! The conflicts of the Galactic Civil War rage across innumerable planets, each with their own unique terrain that could impact the battles that are fought there. If the Empire wants to conquer these planets, it needs specialized soldiers who can go in first and lead the way for the rest of its troops. Fortunately, the Empire’s elite have arrived. 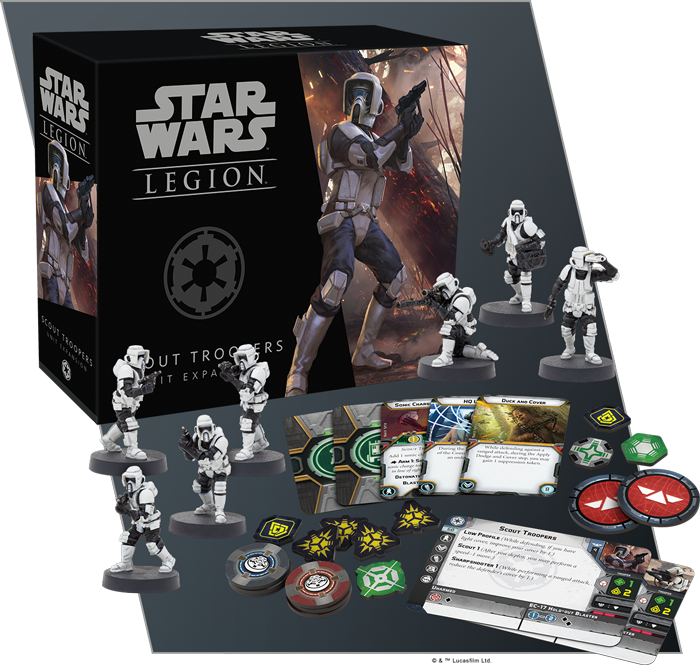 The Scout Troopers Unit Expansion for Star Wars™: Legion is available now at your local retailer and online through our webstore. Diversify your army with some special forces troopers and clear a path for the rest of your Imperial army! But the Scout Troopers are capable of much more than leading the way for other infantry. Adding heavy weapons miniatures makes them even more versatile and perfect for tackling a variety of tasks. 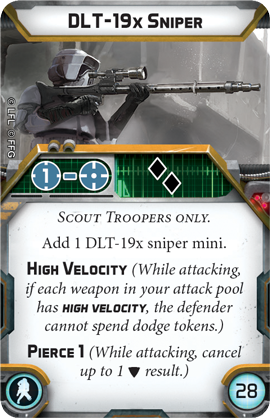 Adding a DLT-19x Sniper miniature to your squad suddenly makes your Scout Troopers lethal from anywhere on the board. Opponents rarely suspect attacks from such great distance and, if your sniper is the only one firing at a target, it shoots with such High Velocity that the defender cannot hope to dodge out of the way. 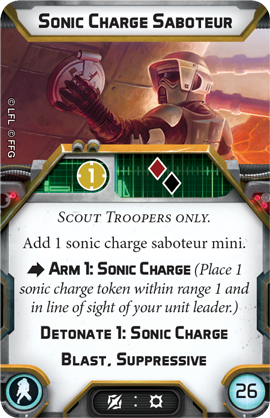 Meanwhile, if you’d like to use your Scout Troopers at extremely close range, you can add a Sonic Charge Saboteur to your squad to disrupt enemy operations. One of these explosives experts can seed the field with Sonic Charges, blocking your opponent’s path to critical objectives or breaking up their lines of fire. 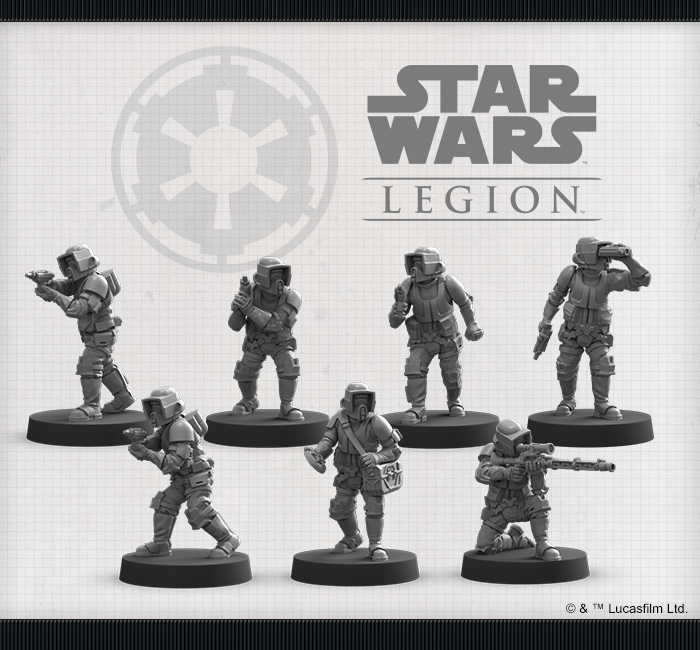 Pave the way for your Imperial troops with the Scout Troopers Unit Expansion (SWL19) for Star Wars: Legion, available now from your local retailer or through our website!